It was a great Easter treat to be invited back to Waterstones Durham for a chocolatey signing session. Durham is a beautiful place and the people are always the friendliest around. 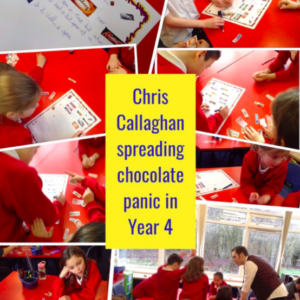 As it was Easter, I gave away a bar of Dairy Milk with every copy of Chocoplot. I like to think that this was more about my generosity than a blatant attempt to bribe customers! 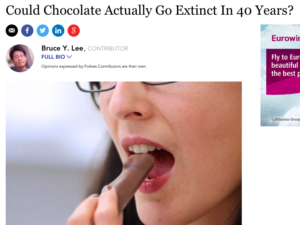 But it worked and we completely sold out!! 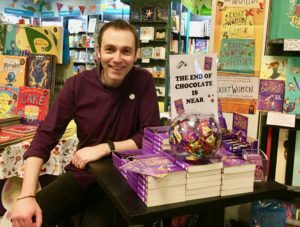 Thanks to everyone who came along, it’s always wonderful to meet readers and have a quick chocolate chat. 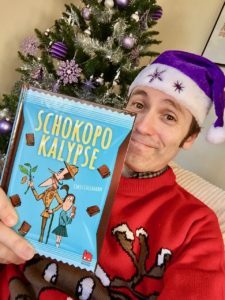 I’m very grateful to the Waterstones staff, especially bookselling superstar Fiona Sharp, for being such massive Chocoplot supporters. 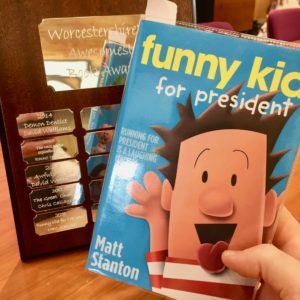 It was with mixed feeling that I attended this year’s Worcestershire’s Awesomest Book Award ceremony. I was excited to continue to celebrate being the current holder of that wonderful title, but a little sad that I would move from ‘current’ to ‘former’. Or is this me just being greedy? 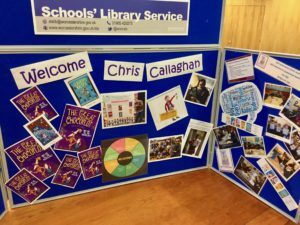 It was a fantastic event, attended by many schools in the area and the award scheme is driven by the young readers themselves. There was a quiz, which was won for the second year by Westacre Middle School (and which I was rubbish at!) and it was a pleasure to listen to a selection of readers talking about all the shortlisted books and why they had enjoyed reading them. 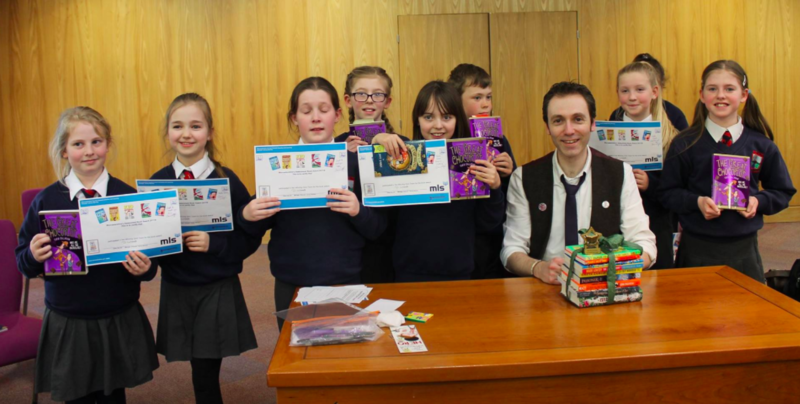 It is a delight to see the enthusiasm that so many young people have for books in the Worcestershire area. 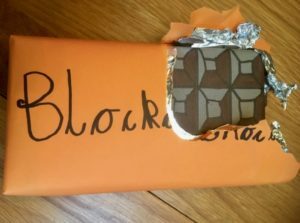 I also got to prance about and talk about my book and have some chocolatey fun – and I made the most of being the ‘current’ award winner as I watched the minutes of my reign (I can call it a ‘reign’ can’t I?) tick away. The winner (by a huge majority) was announced to massive applause. 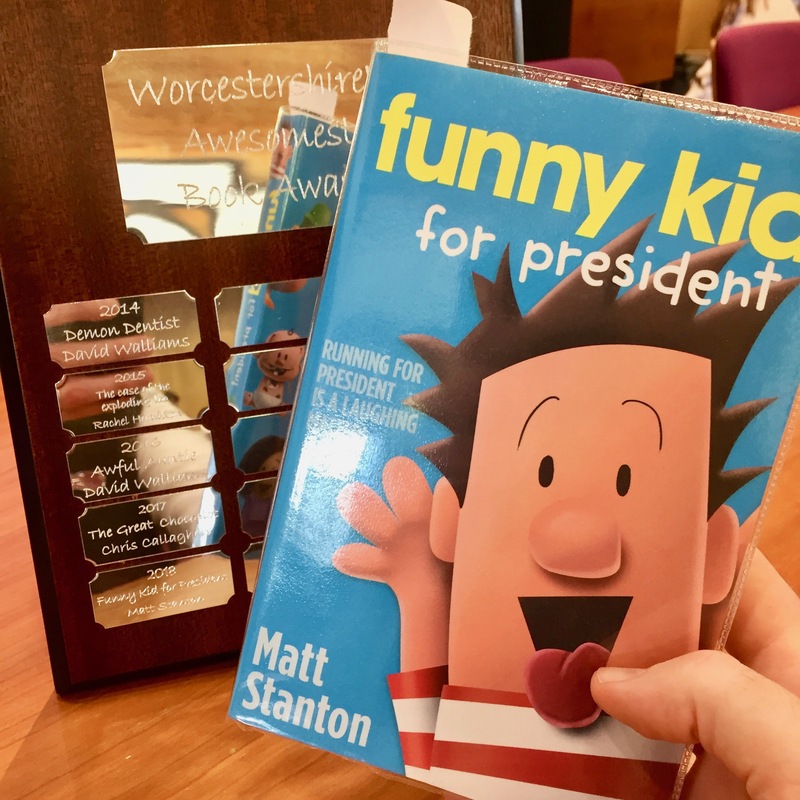 Congratulations to Matt Stanton and his book ‘Funny Kid for President’. 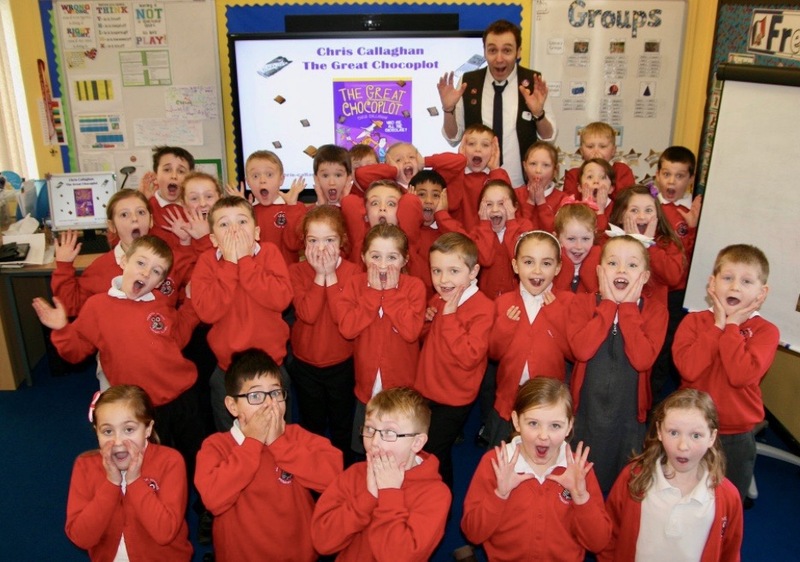 I’m delighted that another funny book has been chosen by Worcestershire’s awesomest readers. Matt follows in the footsteps of Rachel Hamilton, David Walliams (whoever he is?) and me, to be the Awesomest Book Award winner. It was a wonderful day. 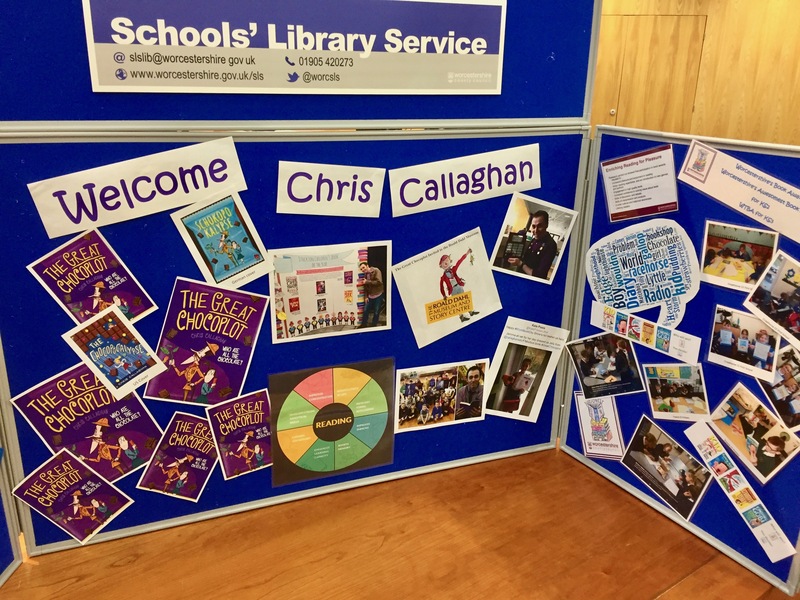 Thank you to all the amazing library staff who organise the whole award scheme, to the teaching staff who encourage it in schools and especially to all the brilliant readers. It is them who are the awesomest! My (and many others’) World Book Day did not quite go to plan, due to the floaty white stuff that pelted us from Siberia! But I’m delighted there were some that were able to enjoy the day. 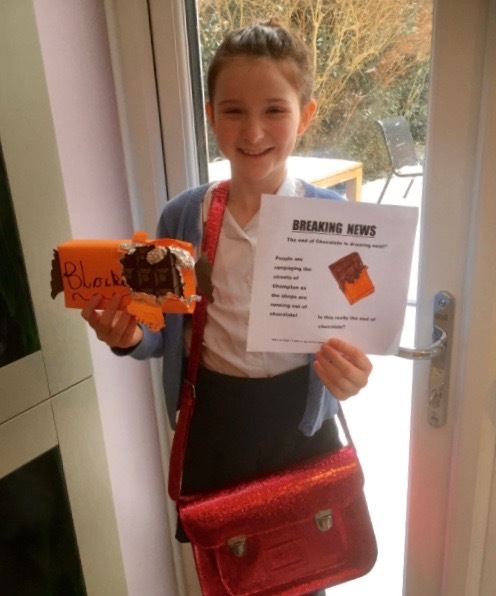 Especially Jemima here, who got dressed up as Jelly from a certain book called ‘The Great Chocoplot’! Just look at that chocotastic homemade Blocka Choca too. It definitely looks good enough to eat. I’m sure Jemima/Jelly’s mum and dad, were very happy that this year’s costume was a school uniform. Win, win!! I hope you had a lot of fun, Jemima, and thank you. You have made both me and Jelly very happy indeed. World Book Week and the Beast! World Book Week certainly didn’t go as planned! Last Sunday I proudly boasted with a photo of my packed bags on Twitter that I was booked, prepped and ready for a whole week’s worth of school visits. But after two lovely days at a school in Doncaster my week ground to a halt. The following three schools visits were postponed because of ‘The Beast from the East’! It’s been the worst weather we’ve had for a long time. Although I didn’t get to complete my week-long adventure, I count myself as incredibly lucky that I wasn’t out and about in the terrible conditions. Schools took the sensible decision to close in plenty of time and informed pupils, parents and, in my case, worried authors. I’ve heard some real horror stories of accidents, delays and cancellations on transport routes, but I am relieved that myself and my family were not caught up in it. My thoughts are with those that were – I’ve been there before and it’s no fun at all. 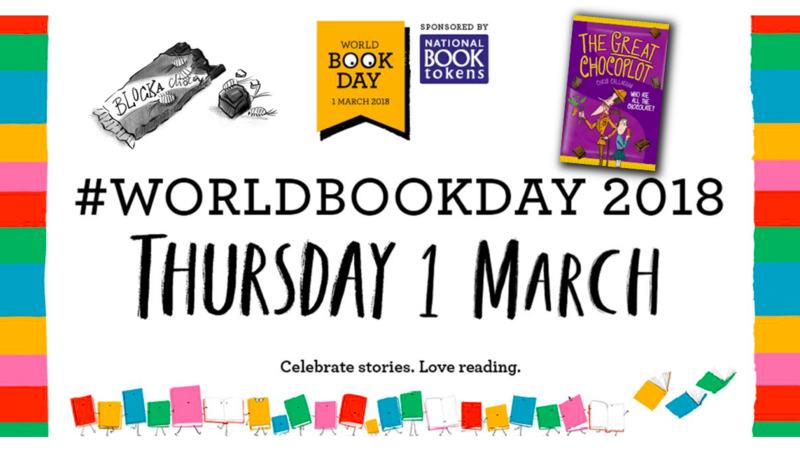 I have already managed to reschedule most of the visits I’ve missed, which is wonderful, and I look forward to having our own Book Day celebrations very soon. Maybe there’s a lesson here. 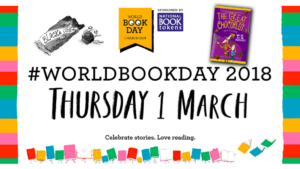 World Book Day is a fantastic thing, but it would be even better if schools had their own day every year that celebrated books (although books can be enjoyed EVERY day!) and that way authors are not shooting around the country trying to fit as many schools into a short space of time. I’d even had to turn down schools because my week was fully booked, and they only wanted a visit around the day itself! I hope the weather starts being kind to us and we all get back to normal. I’m off to my next visit in Worcester next week and am keeping a close eye on the trains! Hope everyone stayed safe during this crazy time and managed to fit in a snowball fight or two! Or found somewhere warm to snuggle up with a good book!! Looking forward to taking part in Middlesbrough Reads from The National Literacy Trust and being hosted in Hillstreet Shopping Centre. We’ll be there taking part in fun half-term activities, giving away FREE books and I’ll be reading to anyone that will let me! 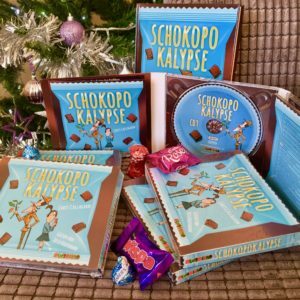 Hoping to share the joy of stories with the good people of Middlesbrough and maybe spreading a little chocolate panic too! It’s on 16th February between 11am and 3pm – I’ll be there from 12 to 1:30pm. Very happy to be back visiting schools and spreading chocolate panic after a month away. 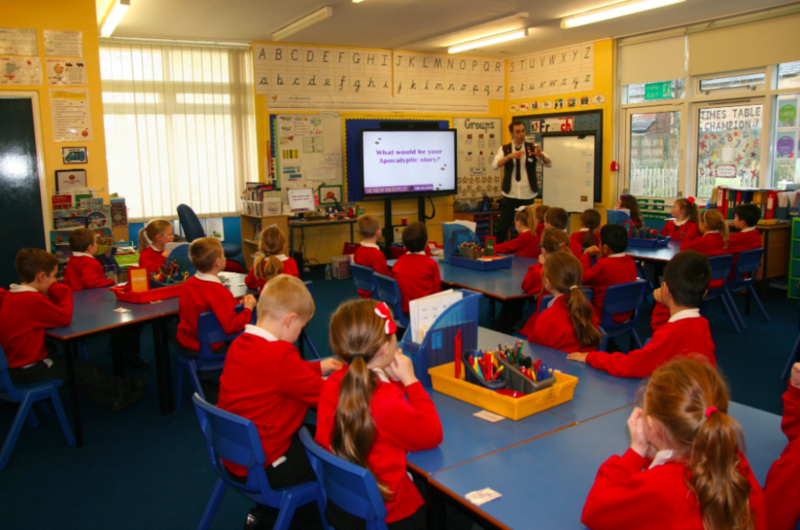 Being in a classroom or a school hall is one of the best parts of an author’s life. It is a real privilege to be in the middle of such creativity, enthusiasm and imagination. I always come away from a school having learned something new, which I hope will continue for a long time. Thank you so much, Preston Grange Primary, who are a local school to me. They all came up with some outstanding ideas and stories, and we had a lot of fun too – which is always lovely. It was a pleasure and I hope to see you all again sometime and wish you well with all your reading and writing. Thanks to Preston Grange for letting me use their photos!